Enjoy our fastest type of trading in a variety of new ways, with “Higher/Lower” tick trades now available for Volatility Indices. 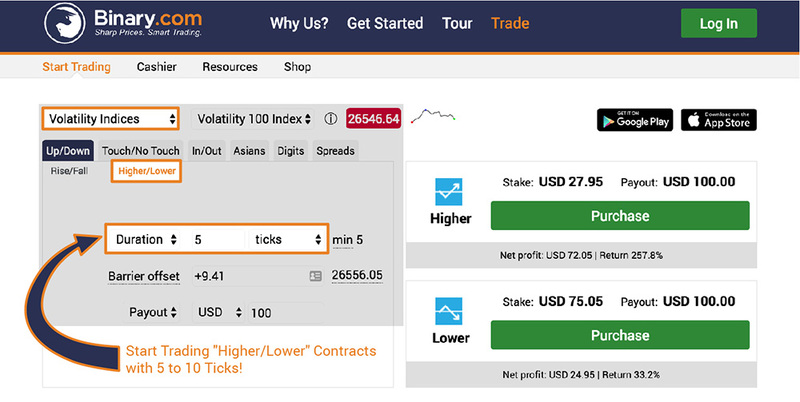 Explore this rapid-fire new addition to our trading interface. Try purchasing a Higher/Lower contract between 5 and 10 ticks, and enjoy the nearly instant results – available for you to trade 24/7, even on weekends. Give us your thoughts about this newly-launched feature. Send your feedback to marketing@binary.com.